By effectively targeting the movie going public, this food shop has itself become a box office success. For some people, a trip to the movies isn't complete without a snack and some soda. As a country of avid movie fans, the entertainment business has long enjoyed a profitable place in the Philippines, and many industries have sprouted in support of it. For one company, catering to the taste buds of the movie growing crowd has punched them a ticket to great success. Ana Maria Tanchanco started her Taters food shop in 1994 in a small, cramped mall space with little fanfare and just P500,000. Now, the company is a by-word when it comes to cinema food, and is the nucleus of an ever growing franchise concept. “The store only measured 8.5 sq.m. and initially carried three products - popcorn, peanuts, fries. At that time, there were no other branded food outlets in the cinemas, only the generic popcorn concessionaires. Taters became the first branded entertainment snack,” Tanchanco explains. 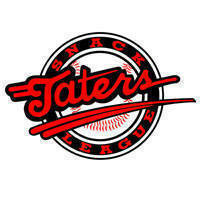 The Filipino-owned corporation was founded, designed, and developed by Tanchanco herself who envisioned Taters as an all-American specialty snack food store reminiscent of food served during baseball games. Taking advantage of Filipinos' affinity for American culture, she positioned the brand as a movie going staple. “If baseball is the most popular form of entertainment in America, movies is entertainment to Filipinos, which is why the moviehouse became a strategic location. Since then, it has been considered the cinema snack brand,” she explains. Observing her kids’ love for junk food during her search for a viable food venture combined with a lucky break convinced her to start on Taters. It happened that the space where Taters built its first store was being let out only to Ayala-executive retirees, and as it happened Ana’s father was one. Her initial investment of over P500,000 was easily recovered in five months. “We could not believe it! That small space was cooking a sack of popcorn and 50 kilos of fries a day,” she points out. Over the years, Taters has continued its innovative approach to product development and has tried to maintain its lead by coming up with innovative concepts like being the first to introduce sour cream and wasabi flavors to their product offerings.